The judges applauded this polished entry and praised the unanimous winner for continually demonstrating its expertise. Crawford's International Communications Team achieved a range of targeted measure outcomes with their "Engage through Education" PR strategy. With an objective to build a platform that increased engagement with the unique, forensic-leveled perspective of the loss adjuster, Crawford enhanced the depth, breadth and frequency of its market-wide communications and has proved a phenomenal success including industry applause for its ground-breakding publication, On the FrontLine. Crawford won the award for ‘Claims Partner of the Year – Loss Adjusting’ for its work responding to the devastating floods in Northern England during winter 2015-2016. 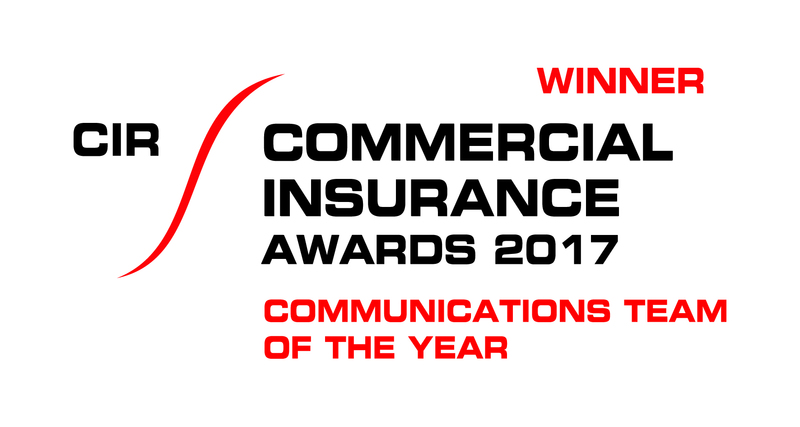 Claims Partner of the Year recognises what Crawford’s ‘traditional’ business is all about; responding to property claims when bad weather wreaks havoc. This award is for everyone who went the extra mile, working extra hours and cancelling holiday, to help the people of Cumbria. 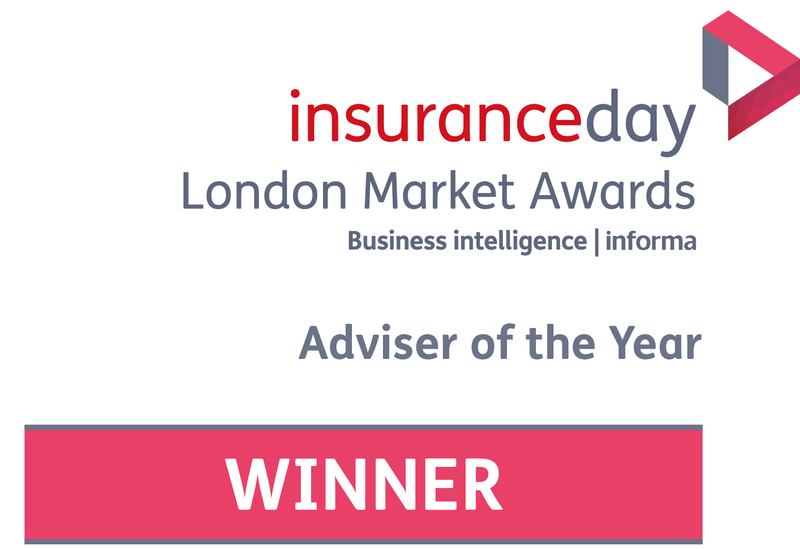 The Insurance Day Awards celebrate the vast achievements and progression made within the London Market in 2016. 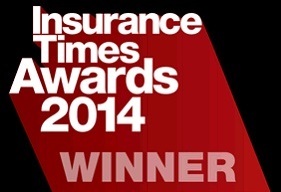 We are delighted that Crawford won the award for Adviser of the Year. Our entry was around our cyber solution and how we deliver a unique end-to-end, project managed incident response and claims management service for cyber breaches. Broadspire® Rehabilitation Case Manager Devdeep Ahuja, PhD PT, MCSP, was recipient of Post Magazine’s 2016 Rehabilitation First Award for his research on rehabilitation recommendations for outpatient musculoskeletal therapy. This was the first in-depth study to look at more than 135 factors influencing rehabilitation clients’ adherence to and attendance at prescribed therapy. The study’s findings are being used in universities for clinical education and could influence clinical practices as well. The judges were won over by a campaign that enhanced the depth, breadth and frequency of its market-wide communications from social media to our client magazine, On the FrontLine. Importantly the campaign came with the patronage of its senior management. The Rehabilitation First Awards are hosted by Post Magazine to reward those who make a difference by improving health and wellbeing or aiding a return to work. For the second straight year, Crawford was honored as one of 100 innovative organizations that uses information technology effectively to create business value by delivering competitive advantage to the enterprise and enabling growth. This is the second consecutive year that Crawford has won this award. The Reactions awards are a unique and respected program that rewards the achievements and excellence of companies, teams and individuals from domestic and international insurance, reinsurance and claims management firms. Celebrating excellence in general insurance claims, these prestigious annual awards from the industry-leading magazine Post reward the brightest stars of the UK general insurance claims sector. 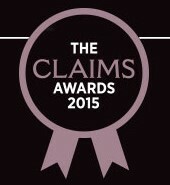 The Claims Awards 2015 were be judged by a special panel of industry experts. For the second consecutive year, Crawford & Company has been awarded the InformationWeek Elite 100 Award for creating business value from technology. This 2015 award highlighted the Company’s proprietary technology Crawford iQ™ and the improved quality and process efficiencies it is driving in the organization. 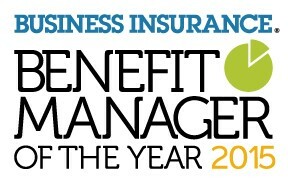 Bonnie Sawdey, vice president in Human Resources, was named Benefit Manager of the Year by Business Insurance magazine. The award was created in 2004 to recognize outstanding performance in the management or administration of group health, group life, retirement and pension or work/life benefit programs. Gartner, Inc., named Crawford & Company as one of only three winners of the Gartner Business Process Management (BPM) Excellence Awards in North America for 2014. Through this awards program, Gartner spotlights excellence among organizations that take a BPM-centric approach to improving their business performance and have seen exceptional results from doing so. Crawford & Company’s The Way We Work project was the foundation for both awards and unified employees and clients in collaborative work, challenged employees to learn new skills and encouraged open and honest discussion between all parties. This approach transformed the claims experience for our customers and allowed us to demonstrate to the Judges that when you work towards a common goal that it is easy to add value, settle a claim quickly and improve the customer’s experience. Crawford & Company UK this year received its first Investor in Customers (IIC) Award, which assesses customer experience and satisfaction levels across industry. After rigorous assessment where employees, management and clients were surveyed, IIC judged the Crawford customer service as outstanding. IIC provides an independent, academically approved benchmark that delivers detailed analysis and insights to help create an environment of continuous development. Investor in Customers focuses on helping organizations improve customer satisfaction levels, and the customer experience they deliver. This focus has positioned IIC as one of the UK’s leading assessment company with the widest service proposition that is designed to help build better businesses for UK companies. Crawford received two 2014 Standard of Excellence awards from the Web Marketing Association for the design of two websites, Crawford GTS® and U.S. Broadspire®. The Standard of Excellence Web Award recognizes the standard of excellence for which all websites should strive, and winners at this award level have demonstrated that their site is above average. The sites were evaluated based on the seven criteria of design, ease of use, copywriting, interactivity, use of technology, innovation and content. CIO magazine's editors and judges chose Crawford as one of 100 innovative organizations that uses information technology effectively to create business value by delivering competitive advantage to the enterprise and enabling growth. Sponsored by Workflow Management Coalition (WfMC) and supported by BPM.com and Future Strategies Inc., the prestigious 2014 Global Awards for Excellence in Case Management recognize user organizations worldwide that have demonstrably excelled in implementing innovative solutions. Crawford Spain won “Loss Adjuster of the Year 2014” award in the category of Fraud Detection at the ICEA (Cooperative Research between Insurance Companies and Pension Funds) awards after uncovering a significant deception worth hundreds of thousands of euros. 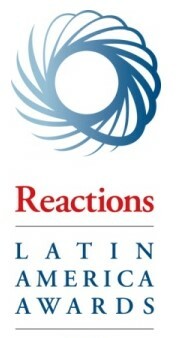 The Reactions awards are a unique program of events that reward the achievements and excellence of companies, teams and individuals from domestic and international insurance, reinsurance and claims management firms. The RIMS Annual Conference & Exhibition attracts some 10,000 risk and insurance professionals at all experience levels, business executives with risk management interests, brokers, insurers and service providers for the ultimate educational and networking experience. The four-day event offers more than 150 educational sessions, keynote presentations, special events and an expansive Exhibit Hall with nearly 400 exhibitors. One of the industry's most prestigious awards, the InformationWeek Elite 100 corporate rankings spotlights the most innovative users of information technology across the nation. The theme of the 2014 InformationWeek Elite 100 is digital business: a movement rooted in data analytics, mobile computing, social networking and other customer-focused technologies that are turning companies and industries on their ear. Forrester Groundswell Award in the category of Business-to-Employee Mobility for Crawford CAT Connection. This award recognizes the great use of mobile tools and programs to reach business or marketing goals. Web Marketing Association’s Outstanding Mobile Website award for the Crawford GTS® Mobile Website. The annual Mobile WebAwards Competition honors excellence in mobile Websites and apps, recognizes the individuals and organizations responsible, and showcases the best in award-winning mobile development. The judges praised the quality of Crawford’s entry, for the way it dealt with the aftermath of the devastating 2011 floods in Thailand and for its tireless work in helping the industry and clients over the past two years. Broadspire's Clare Ginders won the coveted Case Manager of the Year Award in recognition of her tireless work giving rehabilitation clients the best prospects of regaining their health and returning to work. This achievement reflects the hard work of the entire team in ensuring that, after two short years, Broadspire Rehabilitation is an integral part of the Employer's and Motor Liability claims handling service in the UK. 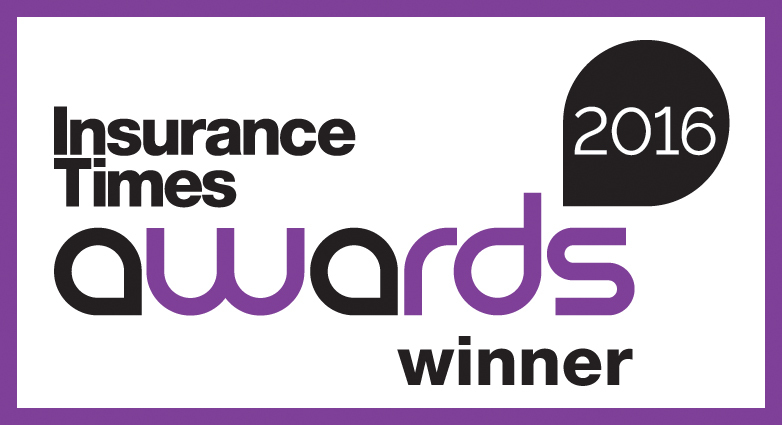 Crawford & Company's Global Markets team has been recognised by the Judges for delivering a truly global unified service to insurers, brokers and corporate risk managers. Crawford & Company was rewarded for its commitment to promote a culture of traditional customer service values, with direct, open and honest communication with excellent service delivery at its heart. In recognition of employers who display leadership and innovation in engaging their employees through emphasis on communication, culture, rewards and recognition, professional and personal growth, accountability and performance, vision and values, and corporate social responsibility. Crawford & Company was highly commended for its global capabilities and ability to respond to an unprecedented level of natural catastrophes across the world in the last year. With an unprecedented level of natural catastrophes across the world in 2010 and 2011, Crawford seized the opportunity to prove its global capabilities and has been recognized as Service Provider of the Year for its efforts. In recognition of a marketing program that launched its Durable Medical Equipment (DME) formulary.